some crazy days…………no sorry no thank you! could not supply colors for this weird[ though not bad] dance steps. 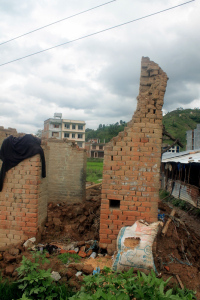 Sakhu is one of the more affected areas around Kathmandu. 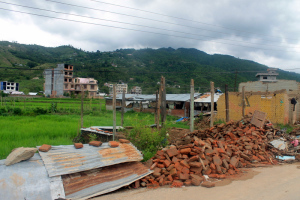 We drive around, seeing the temporary tin structures that have sprouted up alongside piles of rubble, and farmers working in their potato and rice fields. Life keeps going. Driving through Sakhu, we come across a feisty, come-what-may lady – “bajai” is what Nepalis call grandmas (we’d say “dadima” or “baa”). She’s working alongside young men and women that are family and friends, picking through the piles of rubble that have been gathered in an open space in front of the temporary shelters that locals who have lost their homes have built. She works with just as much (if not more) gusto. We’re told they built their temporary shelters in 4 days. 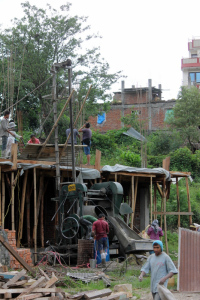 On the other side of the road, reconstruction is happening in earnest, a large machine whirring as laborers stand on the second story of a damaged building. really, she is powerful 🙂 Farida Jalal I mean . The world watched helplessly over the past two months as heart-wrenching images streamed in from Nepal. 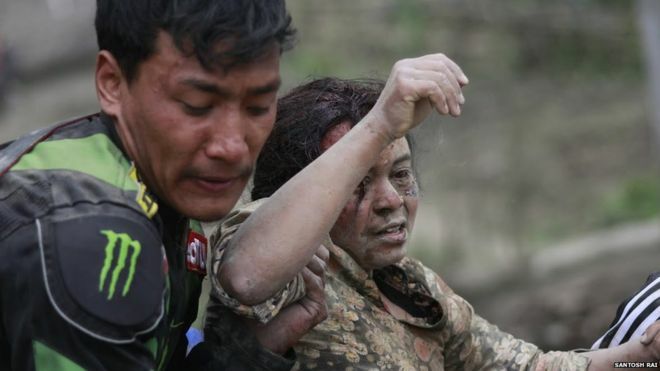 An estimated 8,500 people were killed in a major earthquake and massive aftershock that slammed the Himalayan country within a span of three weeks. The United Nations Office for the Coordination of Humanitarian Affairs (OCHA) has confirmed that 8.1 million people — nearly a third of the country’s population — are in need of humanitarian support, while another 1.9 million require food assistance. Delivery of aid continues to remain a big challenge as many districts are inaccessible by roads. 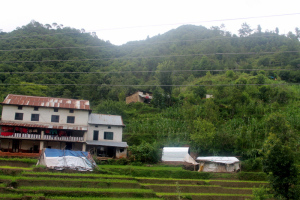 With the monsoon season around the corner, the UN warns that the affected communities are more vulnerable than ever to torrential rains and potential landslides. On the day a 7.8-magnitude earthquake hit Nepal in April, the nation’s top mountain bikers were out preparing for the national championships. They soon found themselves thrown into the emergency rescue effort, pulling victims alive out of the rubble. In the aftermath of the disaster, which killed more than 7,500 people and injured more than 14,500, the cyclists found their riding skills invaluable. They are still working to access remote mountain communities vehicles cannot. 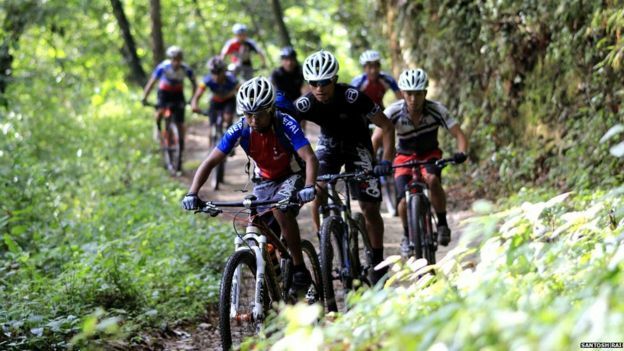 Nepali national mountain bike champion, Ajay Pandit Chhetri, told BBC Radio 5 Live Daily he and his team mates were training on a single track in Chobar, about 10km north of the capital Kathmandu and close to the epicentre when the quake struck on 25 April. “We were scared. We were nervous and thought about our families and friends around Nepal. The communication was disconnected,” he said. The riders soon heard screams and dug out a woman and child who were buried alive. They had been preparing for a national championship race scheduled for 2 May, but it was cancelled as the full extent of the humanitarian disaster in the country unfolded. 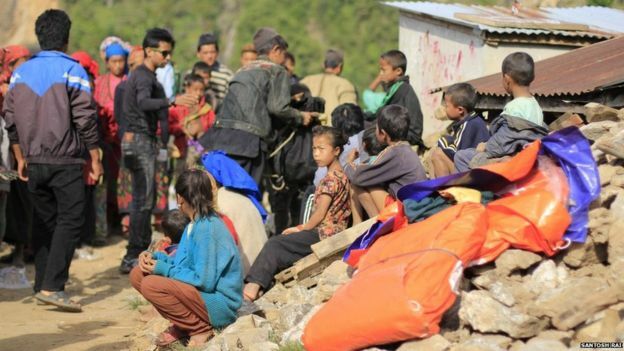 They spent the first few days after the quake helping in Kathmandu. 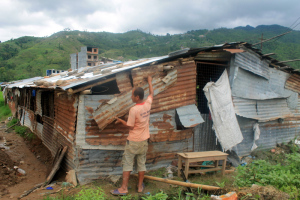 Eight million people – a third of the population – have been affected by the country’s worst natural disaster and the UN has estimated three million are in need of food aid. Mr Chhetri and other members of the national mountain biking team including Narayan Gopal, Roan Tamang, Rajkumar Shrestha and Rajan Bhandari, soon realised they were in a unique position. They could ride to remote mountain communities that vehicles could not reach and use their knowledge of mountain trails to deliver aid and gather information about the scale of the damage. They set up Nepal Cyclists Road to Rescue (NCRR), comprised of members of the national mountain biking team and Himalayan Single Track, a Nepalese biking tour operator. NCRR says that in Shikhar Besi about 95% of buildings have been destroyed. Eighty per cent of the area is inaccessible by car. 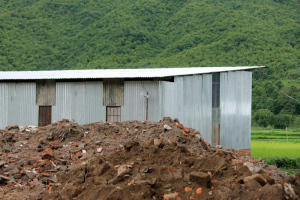 It has set itself the target of building seven temporary schools in seven weeks there. 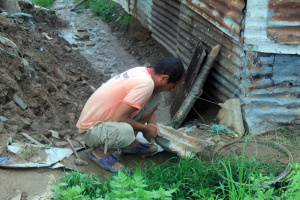 Asked about the conditions, Mr Chhetri said: “People are living in small tents. 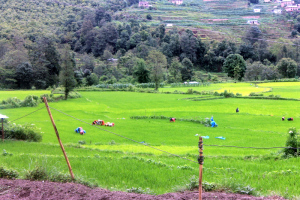 They are very busy in the fields planting rice and aiming to clear their houses. All the food was lost.